A website is a company’s window to the world. MSLK, an award-winning web design firm, understands the need to effectively take an offline brand and bring it online. A website must embody the essence of your company because it serves as the primary storefront and the initial opportunity for all education and entertainment around your brand. Intuition and marketing strategy are at the foundation of our strategic web development process. Careful planning produces award-winning website designs, and MSLK strives to create luxurious virtual environments tailor-made to suit your needs and maximize your market visibility. In the ever-changing face of technology, MSLK recognizes the need for strategic website design. Award-winning website designs should be updatable, expandable, and manageable for administrators. MSLK’s approach to strategic website design keeps you one step ahead of the rapidly evolving technology while focusing on your marketing objectives. We access your needs now and in the future by creating wireframe site maps. These are structural visualization tools that plan implementation stages for your site within budget now. In addition, they establish the goals and needs for site growth and expansion one year, three years, even five years from now. During the development of these wireframe site maps, you and your team will be able to envision the new website’s content, action, navigation, and marketing features. However, MSLK never loses sight of the fact that websites are for people. A beautiful, easily navigable website ensures engaging consumer interaction, promotes traffic, and positively represents your company. Visitors should always be oriented and in control of navigation. These natural and instinctive interactions build meaningful experiences, providing clear information and creating lasting value. Establishing a website is only the beginning of virally growing your brand online. MSLK assists your company in maintaining its online presence through various exciting and user-friendly promotions and fresh content. MSLK’s expertise in digital media includes e-commerce websites, contests, blogs, advertisements, e-mailers, paid-, managed-, and earned-social media, influencer marketing, micro-sites, as well as optimizing for search engines (SEO). Whether you’re building your brand from the ground up, or revamping your existing digital marketing, we understand the content and experience your customers are looking for. Since 1970 beauty brand Shikai has been committed to utilizing functional ingredients that are better and safer than conventional chemical ingredients. With 11 sub-brands and over 50 products under their belt, Shikai was in desperate need of a unified web presence to tell their brand story and their stories within stories. Now was also an ideal time for the brand to enter the e-commerce arena with a site that was easy to order from and easy to fulfill on the backend. MSLK worked with Shikai to establish a flexible system which allowed the Shikai name to be the umbrella brand while also allowing each sub-brand to express its own voice and brand value proposition. Working hand-in-hand with the internal team at Shikai, we were also able to do this within a short timeframe and limited budget. MSLK visually restaged the luxury line, Avivi, as the premier line leveraging the benefits of cold-pressed avocado oil in skincare. Competitive research revealed vast market white space surrounding consumer education on the hydrating properties of cold-pressed avocado oil for skin. Our goal was to build a robust web experience suitable to making digital their primary distribution channel. Educational – Responsive layouts and carefully art directed lifestyle and ingredient images were employed to inform the consumer on product benefits and key ingredient stories, as well as introduce the new line. Engaging – On-page and off-site SEO strategies including blogging, authority building, social comments, and community participation were used to set the tone, build a mood, and bring awareness to the brand. Conversion Centric – A streamlined user experience was accomplished by diagramming the entire consumer journey from discovering the brand through to placing an order. A contextual “buy box” moves with users as they scroll through the site, making sales as easy as clicking a button. 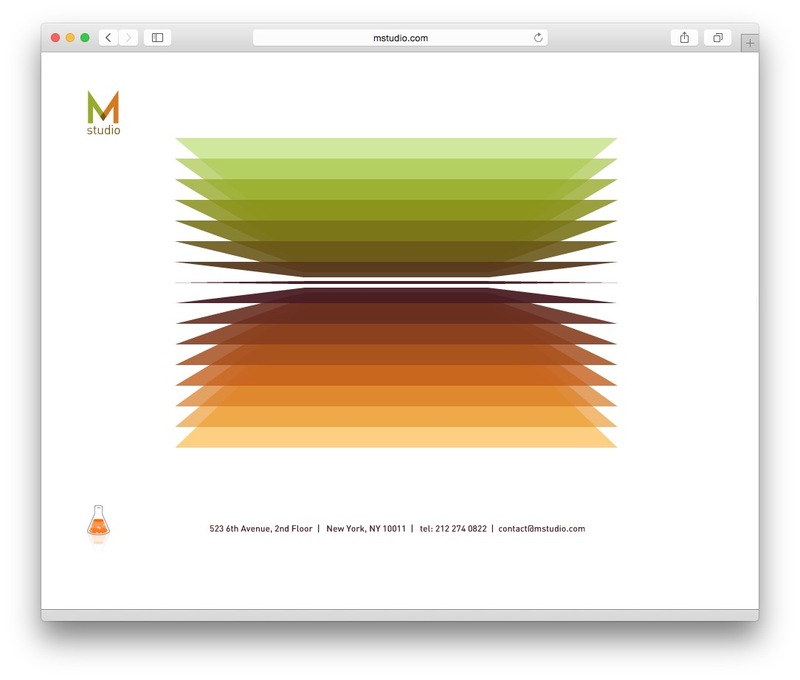 MSLK is an internationally recognized, award winning design agency. Our digital marketing work has received a 2 Webby awards, an FWA award, and also been recognized as innovators in online navigation in the Taschen book, Guidelines for Online Success. Ultimately, our goal is to produce websites that combine Style + SubstanceTM. By effectively combining strategy, creativity, and the latest technologies, our award-wining branding agency can produce captivating and unique websites to engage your audience and convert visitors into loyal consumers.